Almost all of us have been there… freshman year. It is a time of change, expectations, new adventures, hard classes, dorm life, and so much more. It’s a new chapter that both excites and terrifies. It is a world of unknown, but a place to make your own. It is simply freshman year. According to the US Census Bureau, approximately 19.7 million individuals enrolled in a college or university in 2011; 20 years ago it was only 14.4 million (not that 14.4 million is a small number by any means) . 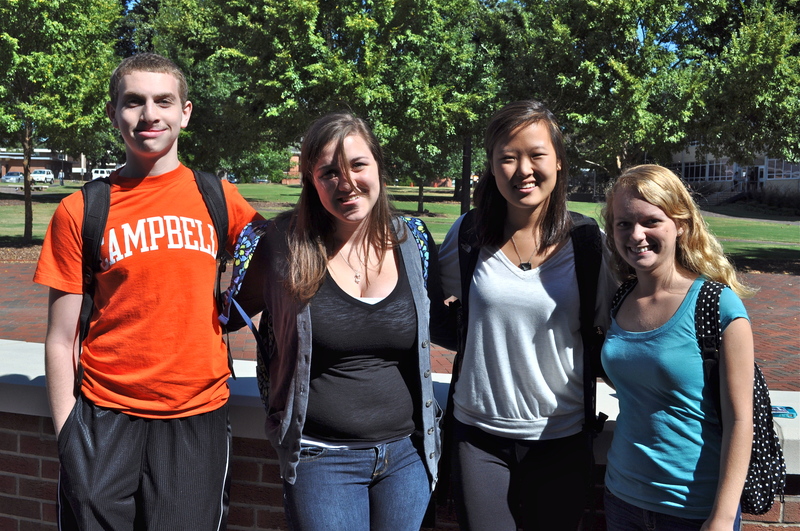 Campbell had 1,077 new students. 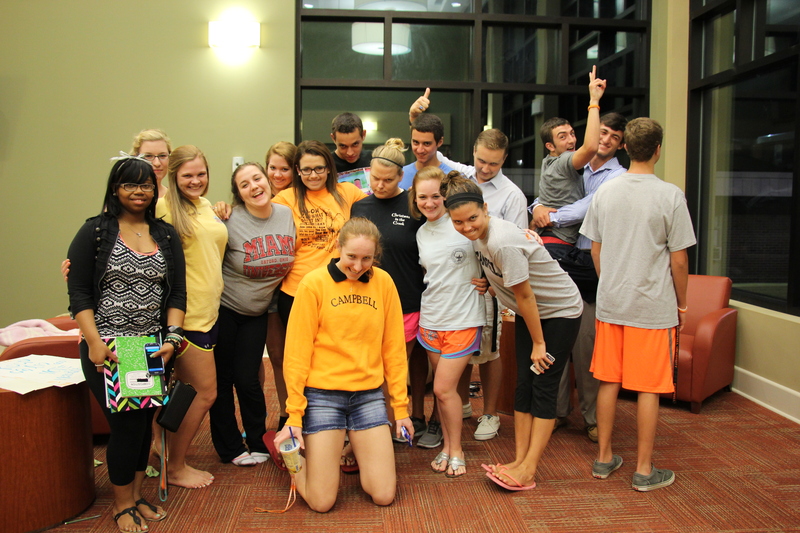 We caught up with a few to see what they thought so far of college life and Campbell. One of the biggest adjustments that students have is the classes. College classes offer a much different environment than high school classes. College and classes are also different in that one has more freedom. College is certainly a time to find one’s niche. You can choose the classes you take, to a certain extent. There are still requirements, of course; however, there is considerably more of freedom in college. Despite the amount of freedom and exciting classes college has to offer, it can still be hard to transition. Some have difficulties while others embrace it full heartedly. Some freshman were shocked at how easy it was to transition to college life. “College is harder, but not by that much!” Morgan Cotton, a Communication Pre-law major said, making college sound like a breeze. Even though the transition may not be too hard for many, and college is fun and exciting, there are still things that are missed. Campbell becomes a home to many, creating a sense of belonging and closeness for freshman. They don’t easily get lost. Clark says that her favorite thing is the Campbell environment and how much the professors care about you. “Being a freshman at Campbell is a learning experience, and there is so much to take in: from classes, activities, and meeting tons of new friends. It may be a handful, but there are many people available to help you grow. It is also good to know that there are people here to help you grow spiritually as well. It’s like a breath of fresh air,” said Simone Brown, a Biology Pre-Professional major. Students come to Campbell wanting a certain experience. For Rayvon Walker, a Political Science Major, that is exactly what this school is doing. Of course, there are so many more aspects of a freshman’s life, and everyone is different. Some are social butterflies and others are consumed with school. Some have a fabulous dorm life and others get roommates from… well that’s another story. The point is, is that being a freshman is only for a year, and is such an exciting time. They are on an adventure and hopefully enjoy the ride. Good luck class of 2017!! *Data only for freshman students.